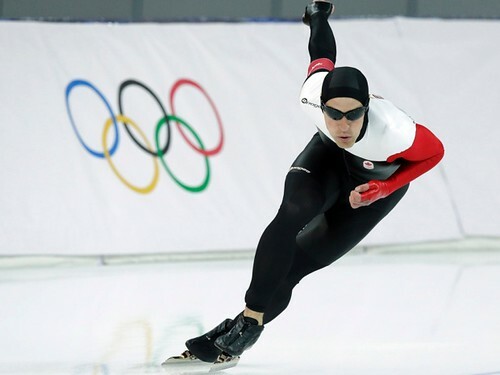 Denny Morrison has won silver for Canada in the men's 1000m speed skating event at the Sochi Olympics. Denny Morrison was only skating for Canada because Gilmore Junio selflessly gave up his spot in the final. Thanks, Gilmore! Gilmore Junio deserves to be the flag bearer at closing ceremonies. Initially I thought the sisters but this heroism for he to give up his chance to win a medal in the final at the Olympics to another person is amazing. The Cdn. cross country skier coach who gave a Russian skier who's ski broke is more evidence that Cdns. overall are considerate towards all athletes who are participating even from another country. Always proud to be a Canadian & especially yesterday & today.